Veliki Majdan was acquired from liquidation in 2007. The mine processes 50,000 tpa of lead & zinc sulphide ore and employs 288 people. Located less than 10km from Gross, there has also been mining in and around Veliki Majdan since the 14th Century. Modern exploration started in the 1930s, conducted initially by a London based mining company. Exploration, including extensive underground development continued until 1939, starting again after the end of the war. Concerted processing operations started in the 1960s and ran continuously until the outbreak of the civil war in late 1992. Only very limited mining occurred in the preceding decade, until Mineco acquired the mine in 2007 and returned it to full production. Veliki Majdan owns three exploration licenses, two lead & zinc and one copper along with the 3.5km2 exploitation license. A complex geological setting has resulted in ore bodies of very irregular shape requiring the skill and expertise of the mine’s geological staff to maintain the ore reserves year on year. However with very high silver grades, the mine continues to be profitable. After crushing and grinding the ore is treated by a conventional froth flotation circuit concentrating in order the lead and zinc. These concentrates are shipped for smelting and the waste material (the “tailings”) are placed in an environmentally controlled dam close to the mine. Veliki Majdan plays a critical role in the small local community providing the majority of all direct and significant indirect employment. The mine also provides for the community medical centre, including the cost of its medical staff. 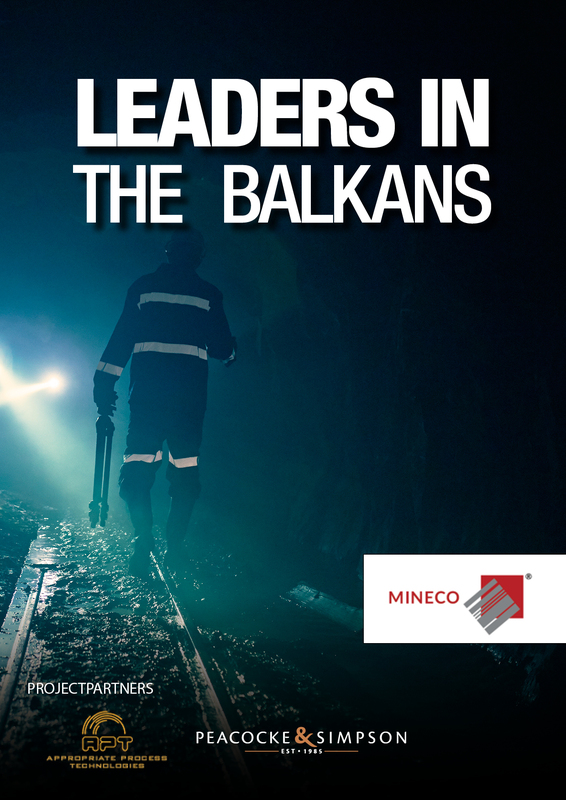 When Mineco acquired the mine in 2007 the tailings dam had failed and contaminated waste was leaching into the River Drina. Requiring substantial investment, Mineco rebuilt the dam and engineered an overload water system that withstood the 1000 year rain conditions experienced in the spring of 2014.